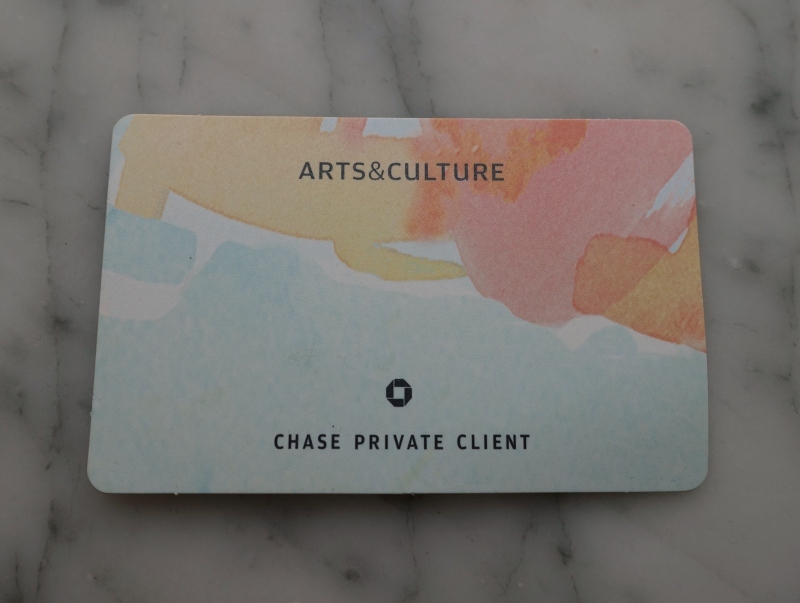 The Chase Private Client Arts and Culture Card offers complimentary admission for the cardholder and guest (sometimes several guests) at museums and cultural attractions in NYC, San Francisco, Los Angeles, San Diego, Chicago, Seattle, Florida, Arizona and Texas. It makes sense that Chase has been able to negotiate some special benefits on behalf of Chase Private Clients, since Chase tends to be a supporter of arts and culture in many of the places it operates in, and Chase employees get certain benefits at some of these institutions as well. We became Chase Private Clients in large part to get my husband approved for the 100K Chase Sapphire Reserve (see Success! 100K Chase Sapphire Reserve Approved After Becoming Chase Private Client, although I've heard that it's become harder to get approved even as a Chase Private Client. Here are the current offerings, although note that benefits can change annually, with some new museum benefits being added and others removed. If you're a CPC have you taken advantage of the Chase Private Client Arts and Culture Card Benefits? 100K Chase Sapphire Reserve Bonus Posted and What's in the 3X Travel and Dining Categories? Best Ways to Use 100K Ultimate Rewards Points? 16 Comments on "Chase Private Client Arts and Culture Card Benefits 2017"
We are looking at being private client members – do you know what passes are for 2018? Thank you. Renee, thanks for your question-to my knowledge, the benefits have not changed for 2018 and are the same as above. Does the card work during holidays? Great question; I haven’t tried to use it during holidays, so I would double check directly with the museum you’re hoping to visit to ask about this. i just got that card you posted and planning to visit Botanical garden tomorrow. Do I just need to present the card at the admission? Yes, present your Chase Private Client card. If this is for the New York Botanical Garden, you enjoy complimentary admission for the cardholder and one guest to the Spring, Summer and Fall exhibitions. If I live in Chicago and have the arts & culture card, can I use the benefits of the card in LA? I just got my card recently and found out the hard way when trying to use it at two locations. I was informed at the box office that Chase didn’t renew the contracts with Contemporary Art Museum and the Tar Pits this year. Need to call before visiting next time. So card, the card is useless. 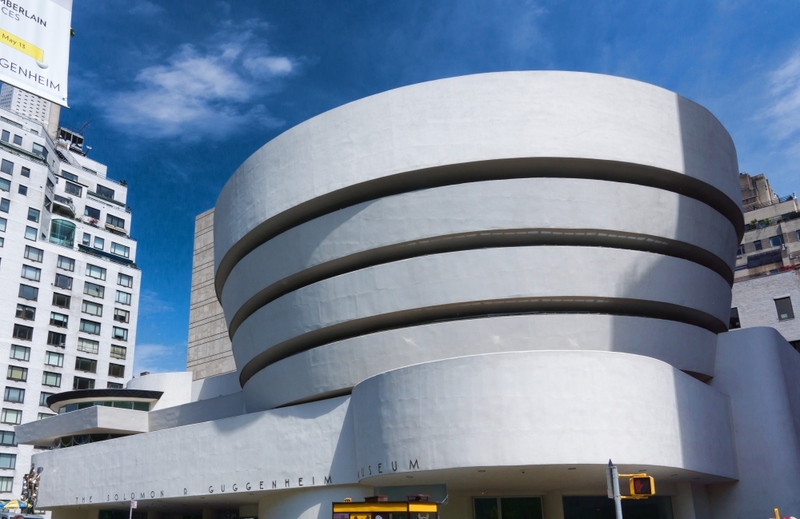 Hi there – I’m planning to take my children to the Intrepid museum today – do I just present the Arts and Culture card at the entrance for the free admission? Or do I need any other ID? You do need to bring your driver’s license or other government issued ID, along with the Arts and Culture card, and will be able to use the members’ line. You’ll be given tickets (complimentary general admission for the cardholder + 2 guests), but note that anything extra, such as simulator tickets, audio guide, etc. would be at additional cost. Rose, officially your Chase Private Client Arts & Culture card is only valid for your own city, but in practice several Chase Private Clients report being able to use their card while visiting other cities. Your mileage may vary. where is my card. My bank only sent an app which I do not use. Why is it taking minths from city island branch to get my card. I feel like withdrawing all my assets from Chase because of this delay. I need the Arts & Culture card for 2019. How do I get it? It’s a digital card; you should have received an email in mid-December 2018 with the link (see https://travelsort.com/chase-private-client-2019-benefits/) but if you haven’t, contact your Chase Private Client banker and request it.